You will experience hospitality wherever you go and will get to see our wide variety of fascinating cultures and local traditions. We are ready to show you our country's natural wonders, allow you to feel that heartbeat and life of Africa, share close encounters with in our oceans and with our wildlife and take you on an memorable path through our interesting past and unique history. We guarantee you will go home with stories to share with your friends and family...experience. Experience the life of a vibrant township in any one of our cities, a shebeen experience is a must with local food and rythms;Contact us to arrange something different for you! Nightlife-Jazz clubs, bars and other…..Contact us should you want to experience a taste of our nightlife. 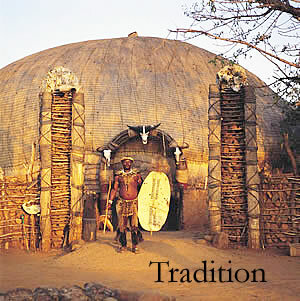 Travelling to South Africa has become convenvient with technological advancements and many parts of the country are accessible. Flying options range from domestic carriers (low cost to the countrys national carrier) and quite a few international carriers-up to 70 international airlines. There now quite a few international airports and many border posts, some which are open 24 hours a day. The country has an array of shops to choose from in every province. Whether it be shopping at exclusive malls such as Sandton City, Hyde Park, Kilarney in Johannesburg to La Lucia Mall, the Pavilion shopping centre or the Gateway theatre of shopping to Cavendish and the V&A Waterfront in Cape Town; in most places there are also markets or those un-touristy spots where the locals shop. Plan a trip with your friends, family or work colleagues with so many golfing options available to you throughout the country. There are excellent golf courses all over South Africa . such as the Durban Country Club, Bryanston, Fancourt, Zimbali and Mount Edgecombe amongst others. With parks the size of a country like that of the Kruger National park to smaller privately held concessions there is probably a wildlife experience to be had in most provinces. Visit parks such as Hluhluwe(one of the oldest in Africa) to private parks along the Garden route and experience the big five firsthand. Accomodation ranges from 2/3 star to 5 star hotels, lodges, resorts, a countrywide guesthouse network, to backpackers and self catering apartments. For those free-spirited individuals wanting to accept the challenge of meandering through our countryside and driving in our cities, book your car at any one of the cities and traverse our escarpment with many accommodation options to be booked along routes you could use. South African cuisine takes distinctive characteristic in each province with Cape Malay food in Cape Town to indigenous African dishes: Venda, Zulu, Catonese, Basotho, Indian and traditional local food. The majority of wine farms are located in the Cape in and around Stellenbosch with a few commercially feasible farms now emanating in the midlands of Kwa Zulu Natal. For those keen enthusiasts-most provinces offer a wide range of locations where you can spend time viewing rare and exotic species of bird-life-contact us for more information. 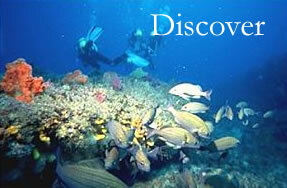 The wide variety marine life, some indigenous to KZN (shark, turtle, ray, corals, etc.) at Aliwal Shoal on the Natal South Coast/Scottburgh and Sodwana in Maputaland offer the scuba diver fun-filled experiences.